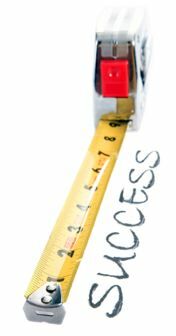 How Do You Measure Success in Valrico? At Five Star Dental Care, we are all about success. Dr. Jeff Bynum’s experience, ability, and commitment to dental excellence result in successful outcomes daily for our cosmetic dentistry clients. Each team member at Five Star Dental Care shares Dr. Bynum’s passion for success. For many Valrico dental patients, success is a routine check-up that reveals healthy teeth and no cavities. For our cosmetic dental clients, success is a stunning smile makeover using porcelain veneers, teeth whitening and tooth-colored fillings. For our Valrico patients with a missing tooth, dental implants are used to successfully restore their smile. It is exciting to see implant recipients smile for the first time after receiving their new tooth implant. We also enjoy completing successful tooth-straightening procedures for youth and adults. Though these transformations take longer than one-visit smile re-designs, the results are no less incredible. In fact, our Valrico orthodontic patients probably appreciate their straight teeth and beautiful smile more than any of our other patients. Success sometimes means removing tetracycline stains for a Valrico teeth bleaching patient who has been hiding his/her smile for years. Sometimes, success is as simple as helping a nervous patient feel relaxed and comfortable during their visit to our Valrico family dental office. What do you desire for your smile? At Five Star Dental Care, our success depends on your complete smile satisfaction. To meet our team and discuss your smile specifics, call Five Star Dental Care at 813-653-2273. This entry was posted on Friday, October 12th, 2012 at 11:44 am	and is filed under Education, General Dentistry. You can follow any responses to this entry through the RSS 2.0 feed. Both comments and pings are currently closed.